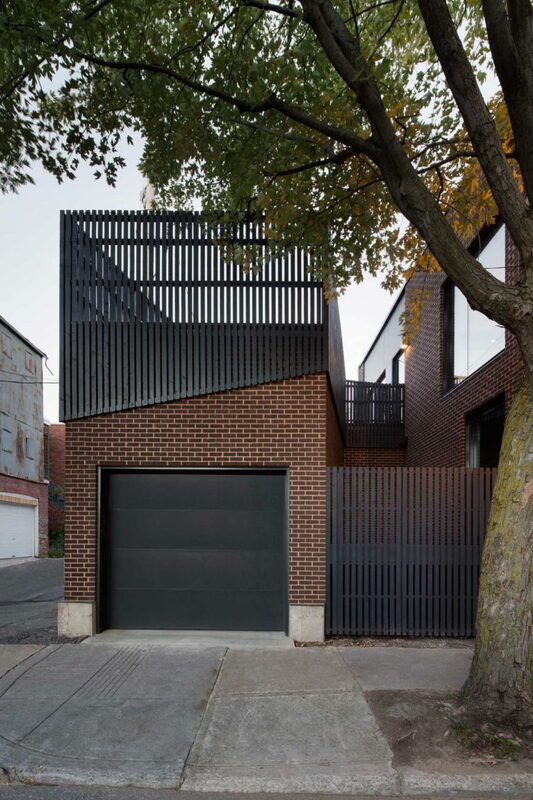 Canari House is a minimal residence located in Montreal, Canada, designed by _naturehumaine. The clients are an athletic couple that wished to transform fourplex to create a primary residence while renting on the ground floor. The existing part of the home dates back to the 1930s, and is completely restored on the street side. The building is characterized by an angular wooden structure that allows for gardens to nestle within its interstices. Large bay windows provide abundant natural light while providing a spotlight for the striking staircase, which was the focal point of the project as a way to bring vibrancy to the space. A black band defines the circulation throughout the home, and extends outward to the garden as well. 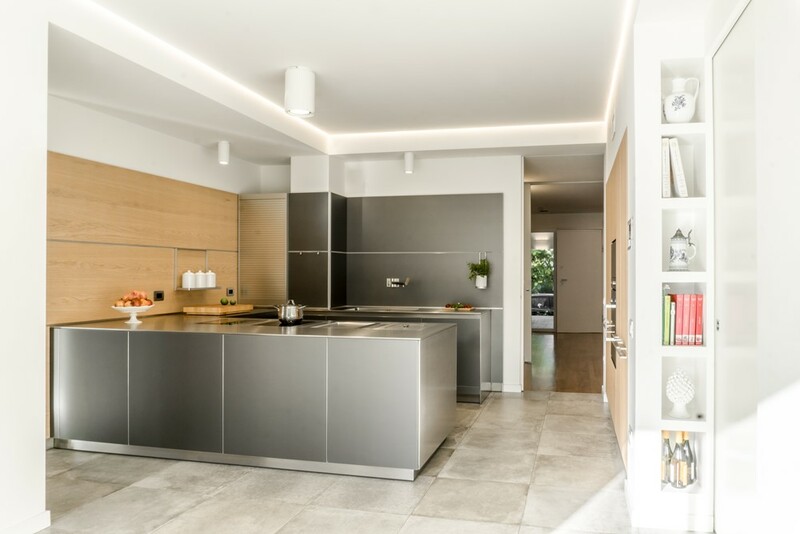 Diagonal lines are the central dynamic element of the home, and can be seen utilized throughout the exterior, as well as with the lighting fixtures and stairwell.